Unlike other conditions, Restless Leg Syndrome symptoms get worse when relaxing or lessening activity, particularly during the evening and nighttime sleeping hours. Many people with RLS have trouble falling asleep and staying asleep. If not treated, it can cause extreme tiredness and daytime fatigue. A person’s job, personal life and daily activities can be strongly affected due to exhaustion. A person can lose their ability to focus and have memory loss. Deltasleeplabs.com found that Restless Leg Syndrome affects about 2 to 15 percent of Americans. But, it may actually affect more people. Some people with Restless Leg Syndrome do not seek treatment because they fear they won’t be taken seriously, their symptoms are too mild, or that the condition can’t be treated. Health care providers sometimes think the symptoms of RLS are caused by something else, like nervousness, insomnia (Link to Insomnia page) (not being able to sleep), stress, arthritis, muscle cramps, or aging. RLS is thought to affect women more often than men. It can start at any age, even in young children, but most people with RLS are middle-aged or older. And, older people with RLS have symptoms more often and for longer periods of time. Young people who have RLS are sometimes thought to have “growing pains” or may be considered “hyperactive” because they cannot sit still in school. Certain medications, such as drugs for nausea, seizures, and psychosis, as well as some cold and allergy medicines, may make symptoms worse. 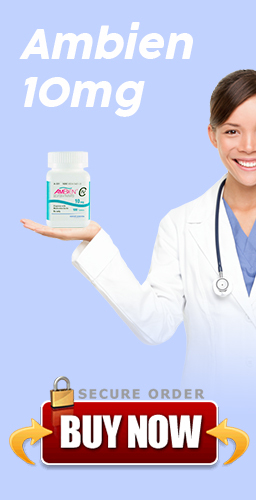 Talk with your healthcare provider if you are taking any prescription or over-the-counter medicines. Some women get Restless Leg Syndrome during pregnancy, especially in the last 3 months. But the symptoms usually go away about 4 weeks after having the baby. Chronic diseases such as kidney failure, diabetes, Parkinson’s disease, and peripheral neuropathy (loss of feeling or numbness in the hands and feet) may be linked to RLS. There are no tests for RLS. It can be hard to diagnose and is easily confused with other conditions. When someone with RLS goes to see a doctor, there is often nothing wrong that the doctor can see or detect with a physical exam. Diagnosis, therefore, depends on what a person describes to the doctor. To help make a diagnosis, the doctor may ask about all current and past medical problems, family history, and current medications. A complete physical and neurological exam may help identify other conditions that may be linked with Restless Leg Syndrome, such as nerve damage (neuropathy or a pinched nerve) or abnormalities in the blood vessels. Basic lab tests may be done to assess overall health and to rule out anemia.